World number one Roger Federer was tested once again in Halle but did enough to overpower Australian Matthew Ebden 7-6 (2), 7-5 in the quarter-finals on Friday. With his world number one ranking on the line, the Swiss is sparing no effort to make sure he lifts a tenth title at the event on Sunday. 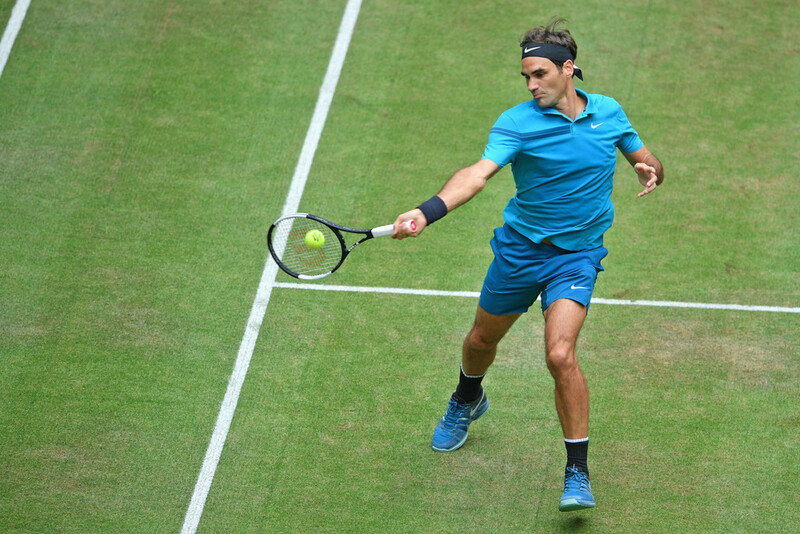 The victory was the 19th in a row on grass for the 36-year-old Federer. Failure to win the grasscourt title would send rival Rafael Nadal back to the top spot going into Wimbledon which starts on July 2. "I felt I had to push myself today," Federer said. "It didn't come as easy as it did in other matches. "But you can't allow that to be frustrating. I can take away a lot of positives. "Now that I'm in the semi-finals I can see the light at the end of the tunnel - you either lose in the semis or have two more matches, max. That allows me to find extra energy. "I'm happy I played well when I had to," Federer said. "I'm happy I got through somehow." The first set on Friday was decided in a tiebreaker while the Swiss had to twice recover from a break down in the second to secure a tight victory in 88 minutes. Federer set up match point with a flicked backhand pass and then sealed his semi-final place as Ebden returned long. Ebden did not make it easy for Federer, staying with the Swiss into the first-set tiebreaker. The Aussie double-faulted to hand over four set points but one was enough as Federer hit a backhand service return winner. In the second set, Ebden broke Federer twice and served for the set at 5-4 only for the Swiss to break back for a second time. After Federer held to love he then broke Ebden again to finish the match by winning four straight games. "It's normal once you get broke on grass to get ready for a possible third set," Federer said. "That's the logical consequence of being broken. "At the same time, you need to show a reaction, try to break back. I was able to do that today." Federer will next take on qualifier Denis Kudla, who scored the best grass victory of his career as he beat Japan's Yuichi Sugita 6-2, 7-5. The American, ranked 109, had never been past a quarter-final on the lawns - which he achieved at Queen's club, London five years ago. Kudla improved to 17-14 on grass over his career as he put out Sugita, the No. 52 who stunned third seed and Roland Garros finalist Dominic Thiem in the second round.